Avoiding modeling scams is up to you! Tampa Bay Modeling opinion - Tampa Bay Modeling. The free modeling career resource web site based out of Clearwater Beach, Florida. Avoiding Modeling Scams Is Up To You! With the recent news of another large group of people becoming victims of a Tampa modeling scam, we feel that we need to voice our opinion about this. How do we feel about it? Disgusted, and in more ways than you might think. We are not just disgusted that a modeling job scam has further damaged the reputation of the Tampa modeling industry, but because the victims allowed themselves to be victimized by not taking a few minutes to do their homework. Sure, we understand that you heard that auditions and modeling jobs with celebrities were available on the radio. It does not make it a real offer, however. Many people are angry because they paid all that money and the business was closed when they showed up. Well, I'm here to tell you that even if the business had remained open and had honored the modeling portfolio photography sessions and the modeling/ acting classes, that it would have still been a scam, and the people, regardless of whether they had realized it or not, would still have been victims. How? Allow us to make some brief points. 1. Advertising on the radio, television, or in print does NOT make an offer legitimate. The media which carries the advertisement will NOT VERIFY if it is a legitimate offer or not; that is not their job- it is yours. Sure, they have to pull an ad if there is proof that it is a scam, but this would only happen after people had been scammed. The media makes money through advertisements. They will take the money of the modeling scam and run the ad. 2. The modeling scam will often drop the names of well-known celebrities or businesses to add credibility to the offer and to serve as an enticement for their marks to bite. Sure, they may send off information to those jobs to avoid fraud charges, but what they will not tell you is that the businesses may not know who they are and will simply discard the unsolicited submissions. The modeling scam does not care, however, as it is not relevant to book the models into jobs. They already did what they said that they would do. If a commercial drops the name of a celebrity that they are supposedly affiliated with, don't take their word for it. Contact the celebrity or their business and CONFIRM the affiliation. EVERY modeling job offer that we have seen name-dropping has turned out to be a modeling scam. EVERY modeling offer that we have seen advertised on the radio, on television, or in print has been a modeling scam! Also, no professional business is ever going to book, or hire, a model who has not an experienced professional model! If they claim that no modeling experience is necessary to be considered for a modeling job, DO NOT believe it! Use your common sense! 3. Offering a modeling job, or any job for that matter, and then telling people that respond that they have to buy a service before they can be considered is called "bait and switch". It is misleading, unethical, and unprofessional. Fraud is also against the law! Even if the modeling school had stayed open, no one complained, and the news did not report it, it would have still been a modeling scam because they marketed their services through deceptive means! In this case, in a way, we are glad that the modeling school took the money and ran. At least this way the news reported it AND the modeling scam is obvious. The victims actually realize that they are victims. In most cases, they never know! 4. In this case, an unique twist was that the closed modeling school scam referred their clients to ANOTHER well-known modeling school scam with the claim that they would make good on what their victims paid for (a referral / dumping scheme of a scam scapegoating another scam, which is something that we have not seen before!). While it is sad that the victims lost money, at least another modeling scam is being inconvenienced, and the more time that they are spent dealing with that, the less time that they are out scamming other aspiring models. Don't be surprised, however, if the other modeling scam tries to use the opportunity to attempt to scam the angry clients again by twisting the situation around and trying to market to the victims! 5. The well-known Tampa venue which the modeling scam was located at did not bother checking out the legitimacy of the modeling school, either. They really don't have to, too, just like the media outlets which broadcast the modeling scam advertisements. Unfortunately, the problem here is that the name of the venue enhanced the credibility of the modeling school scam. Professional businesses should be more careful about who they associate their name with, but they really don't have to. It's business, and unfortunately it is the scam victims who pay the price. Hopefully, one day, the media and venues will have to verify if a business is legitimate before they accept their money. Even so, it is your responsibility to take the time to learn how modeling scams operate, avoid being scammed by a modeling scam, and report modeling scams that you discover. Report modeling scams to the appropriate authorities to preserve the integrity of your modeling industry, and to help prevent them from scamming others! 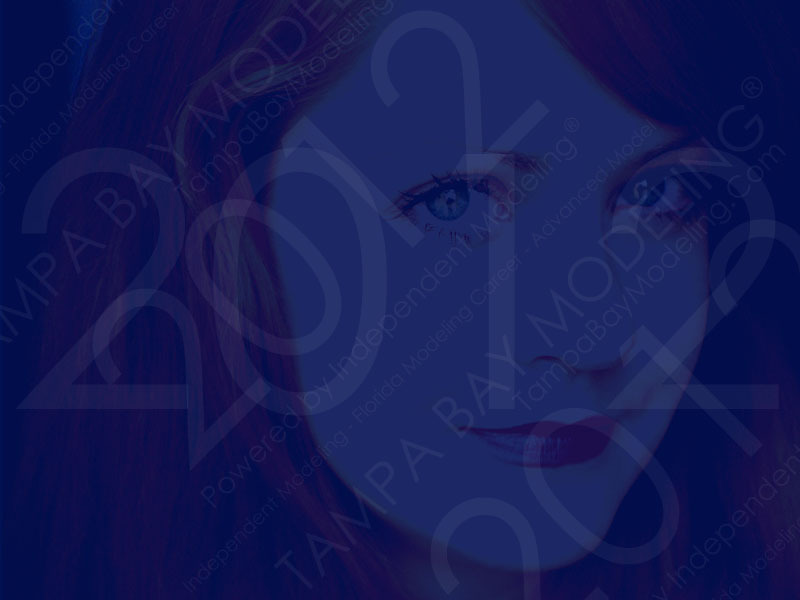 What annoys our staff at Tampa Bay Modeling is the simple fact that we are the leaders of the Tampa modeling industry. This scam happened in our front yard, and it shouldn't have. We work hard to make sure that our modeling resource web site benefits everyone who is looking for modeling information on the Internet or any model who is looking to build their professional modeling career. This web site is a free modeling resource. We have better information than most modeling books have, useful resources, and modeling career tools! We also show up at the top of most search engine results for any inquiries about modeling in Tampa and modeling in general. There is simply no excuse anymore for people to whine about being victims of modeling scams and saying that they didn't know. You can know if you actually try to find out about modeling, how the modeling industry works, and about new ways of making it work for you! If you are about to invest a lot of money into a modeling portfolio photography shoot or some modeling school, shouldn't you try to find out what you are getting into first? FIVE MINUTES OR LESS! That's all it takes to go online and find out that you are about to be scammed by a modeling scam. You don't even have to know the name of the Tampa Bay Modeling web site. Just go to any search engine, and you will find us. In five minutes, and at no charge, we can save you lots of money and time. You also won't have to explain to your crying daughter that mommy made a mistake by jumping into something and not trying to find out more about it first. We are here for you. Try, and in five minutes or less, you will know better. Learning about modeling scams and avoiding them is up to you. It is your responsibility! We already dominate the Tampa modeling industry. What more can we do to expose these modeling scams? Well, there isn't much more, but it seems that we've already added some more scam fighting resources in the war against modeling scams. Earlier this year, we invested in several new web sites: TampaModelSearch.Com, TampaTalentScams.Com, TampaModelingAgency.Com, and TampaTalentAgency.Com. All of these sites were procured for fighting Tampa modeling scams. Tampa Model Search was even obtained to combat the very modeling scam that many experienced over the weekend. By fall, 2008, these sites will be up to full strength, further enhancing our search engine performance and reaching far more people looking for information on modeling. Effective immediately, Tampa Bay Modeling will work harder in our fight against these modeling scams. We will improve our modeling scam definition database, will add new scam-fighting tools and resources, and will be publishing more modeling scam articles and modeling scam tutorials. We will also get our modeling job board online, as modeling job scams can be combated by legitimate professional modeling jobs. I may be too hard on Tampa Bay Modeling, however. The glass is actually half full when it comes to this site. I keep forgetting that our site has cost modeling scams a lot of money over the years, and has save a lot of people from what happened in Tampa recently. We believe that they are in the minority. A lot of people have been saved from modeling scams because of Tampa Bay Modeling, and many of them express their gratitude. Although the war against Tampa modeling scams and modeling scams in the modeling industry continues on, we cannot save everyone. Some will fall through the cracks no matter how hard we work to save them. We cannot save people from themselves. We are not responsible for those who refuse to take the small steps to help themselves. In mere moments, you can go onto the Internet, find our web site by using modeling terms in search engines, and learn about how modeling scams work by reading up on how they operate. You are what you do, and the rule applies to modeling scams. With a minimal investment in time, you can learn what to look for, and easily spot modeling scams from what they do. It's up to you. You owe it to yourself to at least try. Take five minutes and learn about Tampa Modeling Scams by looking through our Modeling Scam Analysis Database! Oh, and we really need to start listing legitimate talent schools and programs so that there are ethical, professional alternatives to the modeling scam offers out there. While we won't name modeling scams, as you will know them by what they do, we will start naming the few good companies which are out there. Also, you do NOT need any modeling school in order to model. We do not know of a single legitimate modeling school which worked out for any model!